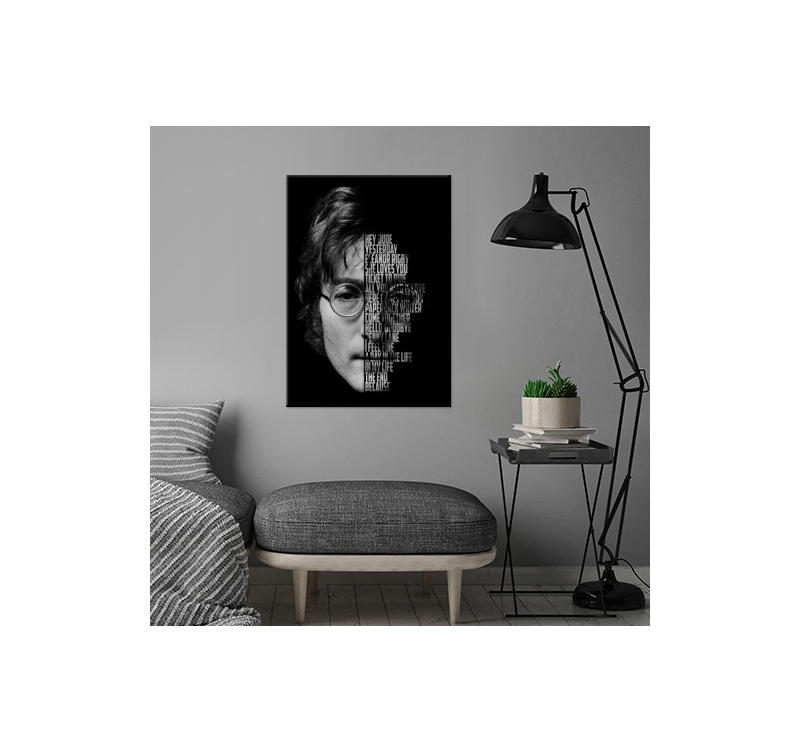 The famous John Lennon in a metal wall poster ! 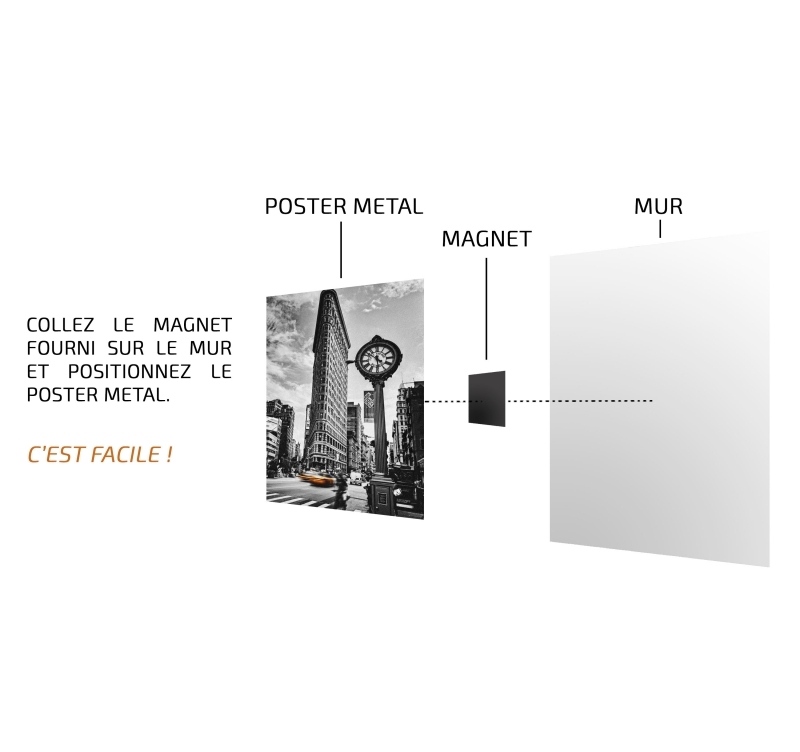 The dimensions of this metal wall poster are 48 x 67.5 cm. 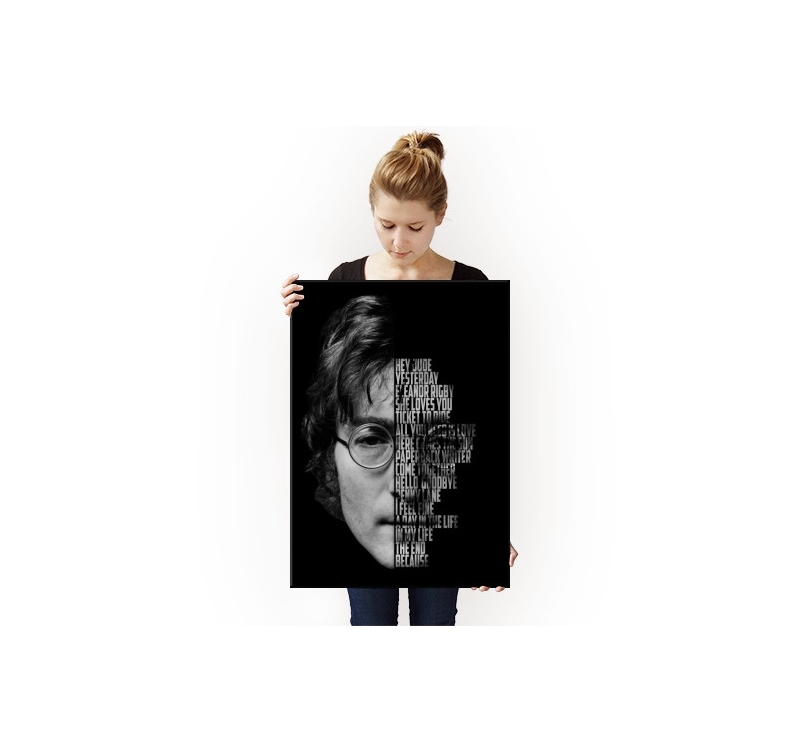 Free delivery in France and Belgium for this poster John Lennon. 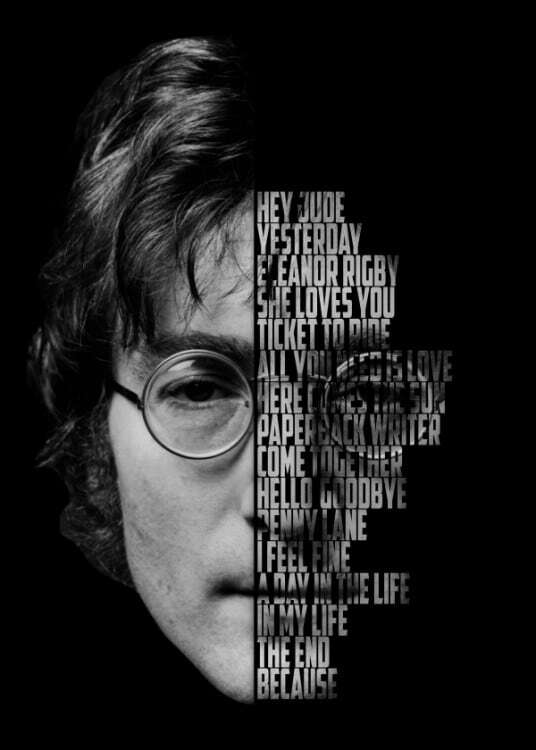 This portrait of John Lennon allows you to have a quality metal poster of the world-famous singer. 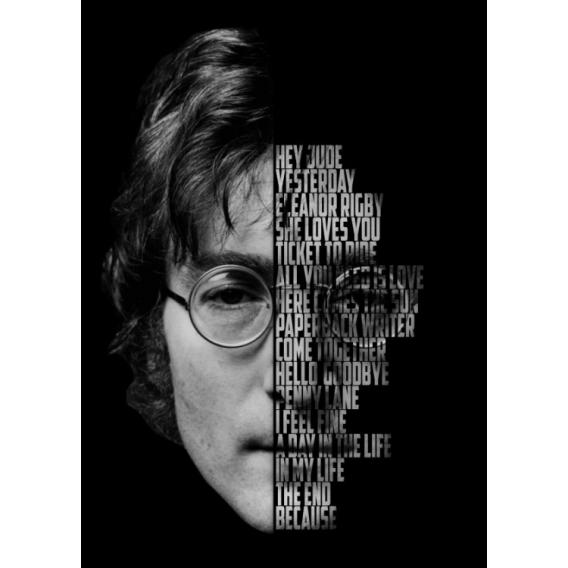 On black background, this original wall poster offers you the most beautiful songs and phrases of John Lennon on the left side of his face, to remind you of your best years. 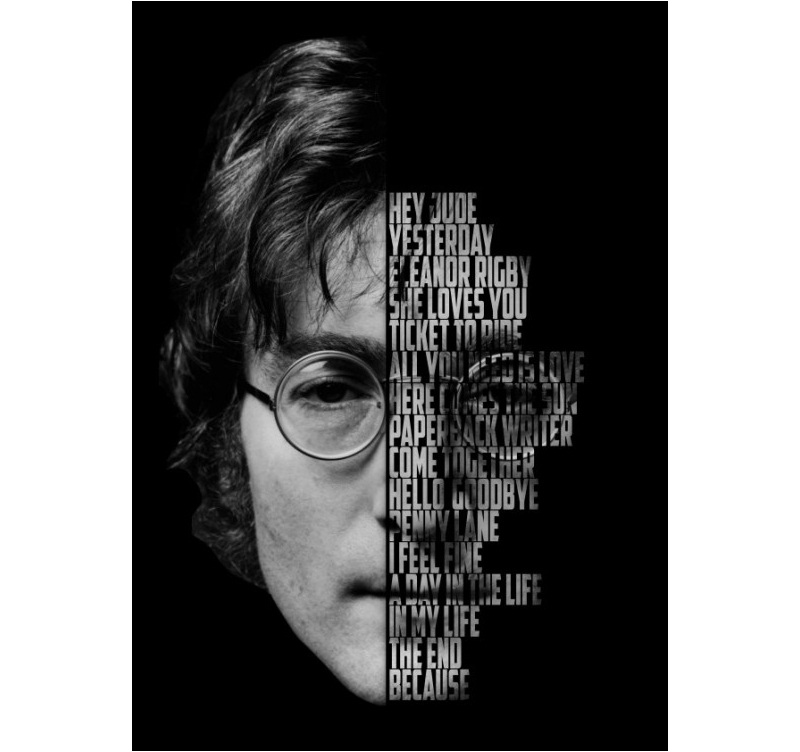 With a calm look and recognizable glasses, this metal wall poster is perfect for musicians and John Lennon fans wanting a collector's item in their wall decoration. 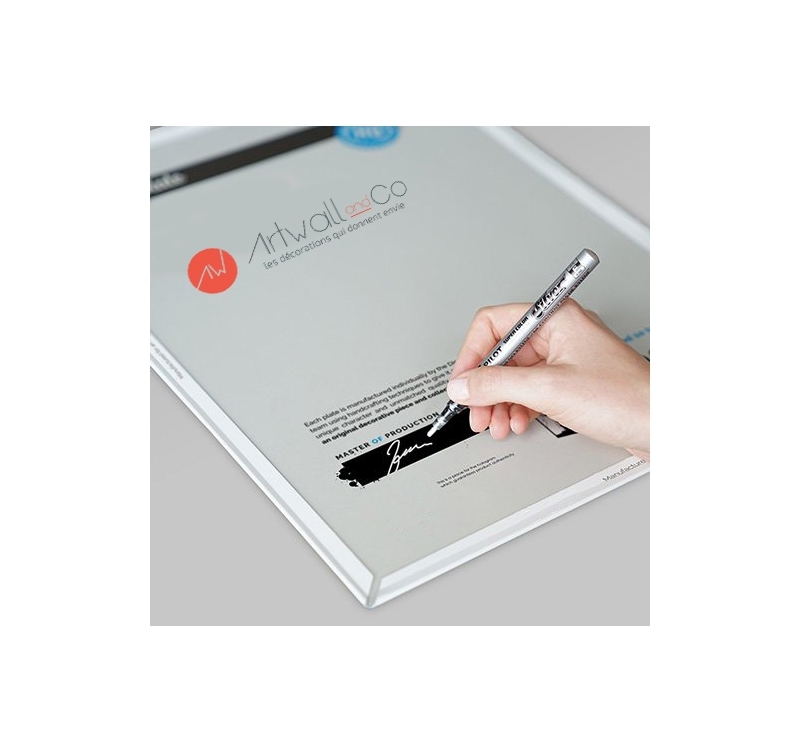 With its hologram and the signature of our workshop manager on the back of the metal poster, this unique piece will be perfect for any type of interior. Directed by our artist, any order allows to directly support this one.